WASHINGTON (Reuters) - Federal agents on the U.S.-Mexican border would double to about 40,000 under a deal reached on Thursday in the Democratic-led Senate to draw more Republicans to a landmark immigration bill headed toward anticipated passage. 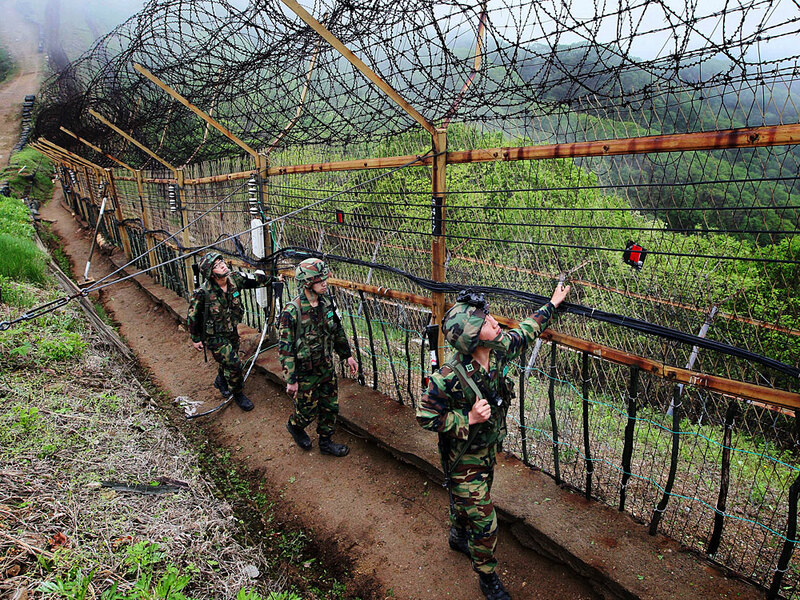 Some questioned the costs and benefits of up to $50 billion in the extra border security, which also will include high-tech surveillance equipment such as manned and unmanned aerial vehicles, radar and seismic devices. We need to militarize the borders and actually protect them. That's the only way it will work. Look at how other countries actually "PROTECT" their borders. Last edited by CaseyB; 06-21-2013 at 10:40 AM.. Jail time for executives of corporations would solve the problem, but Republicans, Democrats, and conservatives worship corporations, so it's unlikely to happen. Ah yes, a GOP type of jobs bill favored by the "fiscally responsible". Inefficient. Are you sure? I thought the bills intent was to double the amount of illegals coming in. It's fiscal irresponsibility to secure the border? Don't you think South Korea situation is a little different? To me it seems this bill is starting to grow some bi-partisan flavor, and that may not be such a bad thing. as opposed to: You have committed a number of crimes many of which have harmed legal citizens. ID Theft and fraud,driving without insurance or a license,tax fraud and evasion. Crimes that get legal citizens sent to prison. For the obvious trespasses we will reward you by giving you exactly what you want. 7.6% unemployment we will add you to our work force further compounding the problem. We will continue to do what we have done since 1986 pass laws without means or political will to enforce them. Yeah that is efficient as hell. The model to follow.